Chabot’s award-winning Safety Patrol recently enjoyed a recognition event for their dedication and hard work. 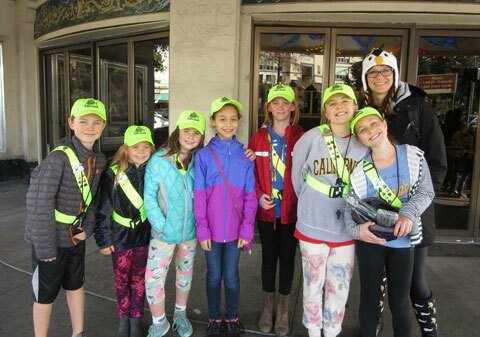 On Sunday, December 13, the Safety Patrol organization held the event at the Grand Lake Theatre for all of the Safety Patrols at the elementary schools in Oakland Unified School District. We had 20 students who attended the event, three of whom won a raffle prize of a new bike helmet and bike light. We would like to thank the sponsors of the event: Youth Mountain Bike Adventures, Step Up, Step Ahead Foundation, and Alameda County Injury Prevention Program.